I ran my first ultra in 2011 and it wasn’t until this year that I finally felt ready to tackle the 100 mile distance. We come to this place in our own way and in our own time. For me, it was time. I remember sitting in my car the first day registration opened for the Javelina Jundred back in February. I had the signup page loaded on my phone, the “Submit” button patiently waiting for my input. I spent the next few hours in a daze wondering what the hell I’d just done. I haven’t talked much about Javelina or my preparation for it. If someone asked me what my plans were I’d mention it but I usually wouldn’t bringing it up on its own. I wasn’t keeping JJ a state secret but I wanted to keep a low profile, at least until now as I write this, when it’s nearly all but over. The beginning of June was the official start of my training. 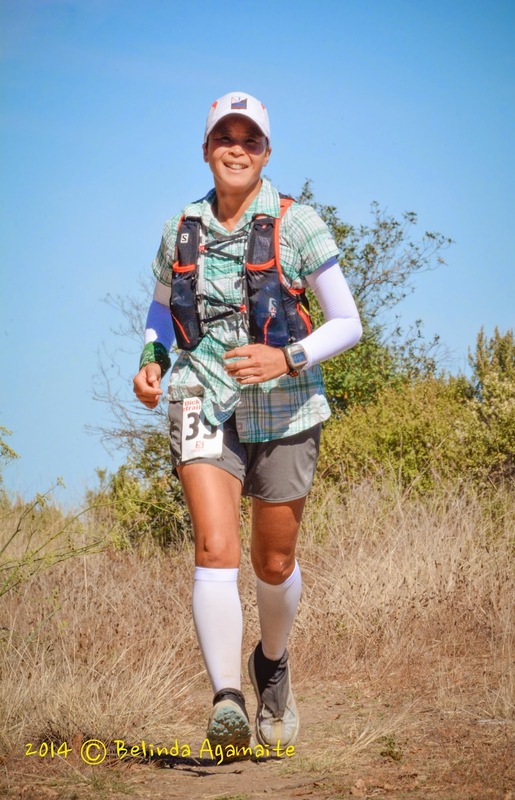 I had a rough spring which started with an ill-conceived, literally and figuratively, decision to run the Crystal Springs 50k in January while I was sick. It resulted in months of subpar performance, my second Did Not Finish, and a confidence level that hit an all-time low. It wasn’t until April that I started to feel better and more like myself. It was a painful lesson I learned that sometimes some things really aren’t worth it. Putting aside my ego and staying home that January day would have been an infinitely smarter move. I don’t have a coach so it was up to me to figure out how was I going to do this. My training schedule was a mashup of information gleaned from Pfitzinger & Douglas, Bryon Powell, Nancy Shura-Dervin, and my own proclivities to mix fun and angst in my training. Since Javelina doesn’t have a lot of elevation gain going out of my way to run massive amounts of vertical didn’t make much sense to me. I thought working toward becoming a better overall runner would be more suitable. I re-incorporated workouts that I hadn’t been doing much of since I stopped training specifically for road marathons. That meant speed training, VO2max intervals, and lactate-threshold runs. I wanted to be purposeful in my running and not just run miles to run miles. I’ve never particularly enjoyed these types of runs but now I actually found them to be fun. Kind of. I also did three races during this time period that I went into with Javelina in mind. Summer Solstice 24 Hour: I wanted to run through the night, focus on pacing, nutrition, and go as far as I could go. I just wanted to see what would happen and as the hours ticked by I found out. Brazen 6 Hour: I wanted to run a strong, continuous pace for the entire 6 hour period. I did that and managed to win my age group along the way plus clock a 50k PR when I passed that milestone. San Francisco Marathon: Another opportunity to run a strong, continuous pace only faster. I ran well enough to get irritated at all the people I passed who had no business being in the corrals in front of me. I did no racing and focused on continuing to increase my weekly volume while maintaining the quality workouts. Building on June and July I was now often hitting 80 miles per week and peaked at 90. I did several back-to-back weekend runs consisting of 30 miles on Saturday then 20 miles on Sunday. The first run would be on the trail with moderate vert, the second on the road. I ran hard when it was called for and didn’t when it wasn’t. After my questionable spring I was careful to monitor my resting heart rate and overall energy levels to make sure I was doing okay. My RHR had skyrocketed in the spring from my usual 47-50 beats per minute to 60+ but it was now staying consistently in my normal range. I felt good and had no problems doing any aspect of my training. I was having fun, exploring new places, and making measurable improvements. I had three ramp up races before my taper. The weekly volume went down because I knew the intensity was going to go up. I always run harder in a race environment than I do in a training run so I might as well just acknowledge that and adjust accordingly. In the past my intentions to treat races like a training run were never followed and that always seemed to get me into trouble. Night Sweats Night Marathon: I wanted to get another night run under my belt. I’d already signed up when Erica asked me to crew for her at the concurrently run Headlands Hundred. It might sound crazy to crew for someone, run a marathon in the middle of the night then go back to crewing but I thought it would be good training for getting through a busy all-nighter. Yes, I got tired, that was the point, but I made it through crewing and the marathon in good shape. Berkeley Trails 50k: This would be the first test of where my fitness was. My goals were to stay focused, run well and do nothing destructive. It was a tough, hot race and I felt great throughout. After doing all those self-supported 50ks earlier the distance now felt very manageable and less intimidating. I had plenty left in the tank when I was done. Firetrails 50 Mile: The last long run before the taper. Again, I wanted to run as best as I could but not do anything destructive. I hadn’t run longer than a 50k since Solstice so I was nervous. Fifty miles is long enough for things to go south both mentally and physically. None of that happened. I didn’t know I could feel that good doing a 50 miler. It was a great confidence booster. Now, finally, after all these months I find myself in my taper. I’ve worked really hard and if the 50k and the 50 miler are any indication I’m as ready as I’ll ever be. I’ve managed to keep my body in one piece and operating like a well-oiled machine. I didn’t have any illnesses or injuries or even any minor aches and pains to contend with to disrupt my training. I couldn’t have asked for a training cycle to go any more smoothly. I’m going to run Javelina with no crew and no pacer but there are going to be plenty of people I know who will be there so in that regard I won’t be in it alone. Were the choices I made good, bad or fall all over the spectrum in-between? I don’t know and at this point, it doesn’t matter. There’s only one thing left to do and that’s to “just go do the damn thing” on November 1st and maybe I’ll learn something. I cannot wait to hear how Javalina turns out for you – my guess is that you will own the joint! Your training is really impressive – I picture you as this happy-go-lucky runner but can see that luck has nothing to do with your success out there. Have a blast!